How do I beat hotel rates? When I travel, the hotel experience is as important as the flight experience and the destination. I tend to veer away from lower-priced accommodations that travellers my age generally stay at. The majority of my hotel stays are at Upper Upscale/Luxury properties, so paying the normal price for those properties would make it out of reach with the travel budget I have. Here are some techniques I use to reduce the cost of my hotel stay. Do keep in mind that this is heavily Hyatt oriented, as the majority of my stays are at Hyatt Hotels. Best Rate Guarantees with Hyatt allow you to take 20% off the competing hotel rate. Hyatt has a fairly tight policy, in that certain sites will generate a denial, no matter what the property is. One such site would be hoteltravel.com. That site probably doesn’t violate any of the criteria required for a competing website, but I’ve yet to receive an approval from that in the past few months. 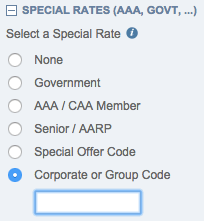 This is best used for hotels that have competing rates that are lower than what’s published on Hyatt.com. The Flyertalk thread gives a good overview of what sites work for Hyatt. When do I use this? Hotels with $100-300 regular rates, taking 25-40% off. I’ve written extensively about using luxury hotel rates in the past. 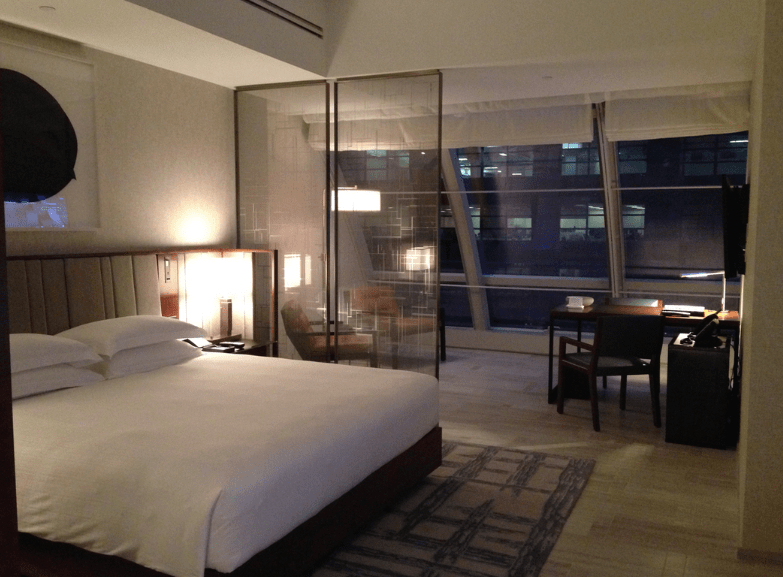 Most of my stays are with American Express Fine Hotels and Resorts, only available if you hold the Platinum Card (see my review). In addition to using these rates for Hyatt Hotels and other chains, I’ll consider using these rates at an independent hotel if the price is right and there’s a mediocre chain presence in the city I’m at. Most programs usually offer 4pm checkout, a room upgrade, daily breakfast, and free wi-fi, and a property benefit. I value the last benefit at $60, since it’s usually a spa/resort/food credit of $100, and at most $10 with all the other benefits since I get them already as an elite member. The total value of $70 is a good rebate, and these are also qualifying rates so I earn stay credits and points. When do I use this? Hotels with $150-350 regular rates, taking 20-35% off. These are negotiated by (mostly major) corporations such as IBM, Apple, PWC, etc. I mainly use one code that I have legitimate ID for (and not JRL-type ID). There are some fantastic rates out there if you, again, know where to look. I’m not spilling all the codes, but there are plenty out there that will take 50%+ off some properties. A simple google search will yield ones for whichever hotel chain you are loyal too. When do I use this? Hotels with $200-400 regular rates, taking 30-45% off. This is probably my most used redemption rate at hotels. Many chains including Hyatt offer these rates, and they allow me to stretch my points while still keeping my stay qualifying. Category 6 is generally the best value in my opinion, especially when it comes to hotels with high rack rates like Park Hyatt Vienna or Andaz Tokyo. Otherwise, Category 4 is sometimes good as well, when the hotel rate is more than $300. When do I use this? Mostly Category 5/6 properties with $400+ regular rates, taking 20-40% off. I personally value Hyatt points at anywhere between 1.15 to 1.33 cents, so a 30,000 point redemption would be valued around $345-400. I generally redeem full points stays when the rack rate is absolutely exorbitant, and I get at least 2 cents of retail value out of the points (for Hyatt, anyways). This would be the case at a property like Park Hyatt Sydney or Park Hyatt New York. When do I use this? Hotels with $600-750+ regular rates, taking 30-50% off. These methods account for 95% of how I pay for my hotel nights every year. The other 5% would be mistake rates where they may not get honoured or not. While I was very specific towards Hyatt, these work for other chains as well. Are there any other tricks you use to reduce hotel rates? That’s a great idea! I’ll keep that in mind for future posts.